It started on the day before yesterday, which was a Thursday. After work and done with my personal stuff, I went home and thought I could sit back and relax with my very own Internet connection. To my astonishment, my router was not working, there ain’t any light signals at all!! And the router was quite hot even when I turned it on for just few minutes. Then Cherry told me that in the afternoon there was heavy thunder storm. She did switch off my router BUT she didn’t unplug the phone line. Hence, router stroke by lightning..
My second Aztech router greets good-bye to me… This is a really old model which I believe you can’t get it in the market today. Big and bulky. 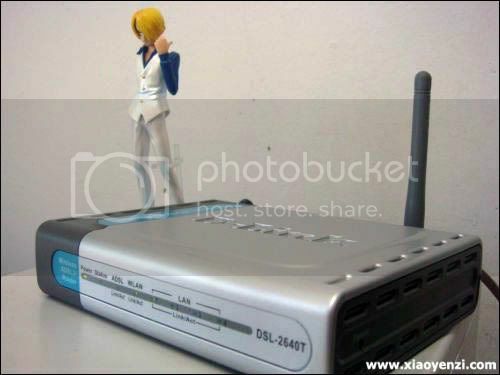 Back then, this Aztech wireless router cost me RM299!! I have 2 Aztech wireless router of the same model. 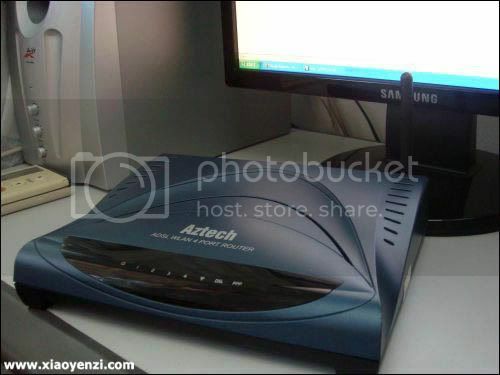 My first Aztech wireless router was not functioning after few months, then I sent back for warranty claim. By that time, I couldn’t wait for one month without Internet, so I purchased (actually Dad was paying, I wasn’t working yet that time) another exact model for easier configuration. I was such a noob back then. I remember requesting the technician came over to my house to help me do the setting. I even asked the technician to setup LAN file sharing for me, yet he failed to do so. I thought that my first router (which had returned from warranty claim years ago) could be of use, but it failed to connect. RAWR!! This is my new baby! 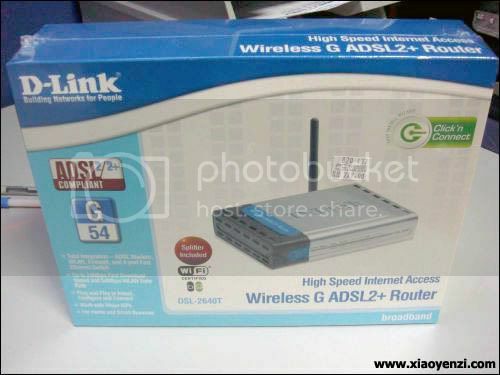 D-Link DSL-2640T. Configuration is quite easy, just insert the driver CD and install the gateway interface by following the instruction closely. This thing cost me RM195. I need a wireless router because I normally access the web via WiFi when I’m using my laptop. My previous Aztech router only supports WEP encryption. Back few years, WPA or WPA2 do not even exist yet. So, I thought I wanna have a better encryption by using WPA or WPA2 which is available in DSL-2640T. But my laptop (in fact is OS, I’m using Win XP SP2. SP3 has the hotfix for WPA.) is too old for that, it only supports WEP encryption, therefore I have to stick with WEP. Now, welcome my new baby~ Hope it can serve me well and won’t be malfunction too soon. I believe that when you purchase a hardware, you need some luck too! Even new stock can turn out to be malfunction sometimes! That’s one of the lessons I learned after working in the new environment for one month. What modem / router brand are you using? What is your experience with your modem / router? – Those are not mine and I dont have access to its router page, so I cant tweak it, pissed me off. I am using the same router like you. The thunder stroke it twice and I have two LAN ports burned. Later, I worried that I have all the port spoiled and I decided to claim the warranty. Guess what… I am so lucky. The day I made the claim was the last day before my warranty void. But the sad thing is after I have it installed for a few days, one of the port not blinking again. Sienz… I can’t claim another modem if this modem is spoil again. By then, I have to buy a new one. never change modem since I juz install d Streamyx. my router spoiled few times coz of thunder.. ki si wa..
how to setting router bipac 51125……….please anyone help me……..